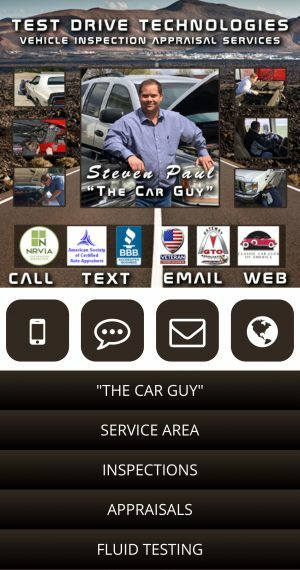 Test Drive Technologies provides mobile used car/truck appraisal services in St Louis for all vehicle types. What sets our company aside from others in the industry is our independence of finance companies, insurance companies, and big-time investors. We are a small U. S. Army Veteran Family Owned and Operated company based out of St Rose, Illinois which is small town between Highland and Breese. Our small family owned and operated company means you get to deal directly with the owner of the company before, during and after your vehicle inspection. 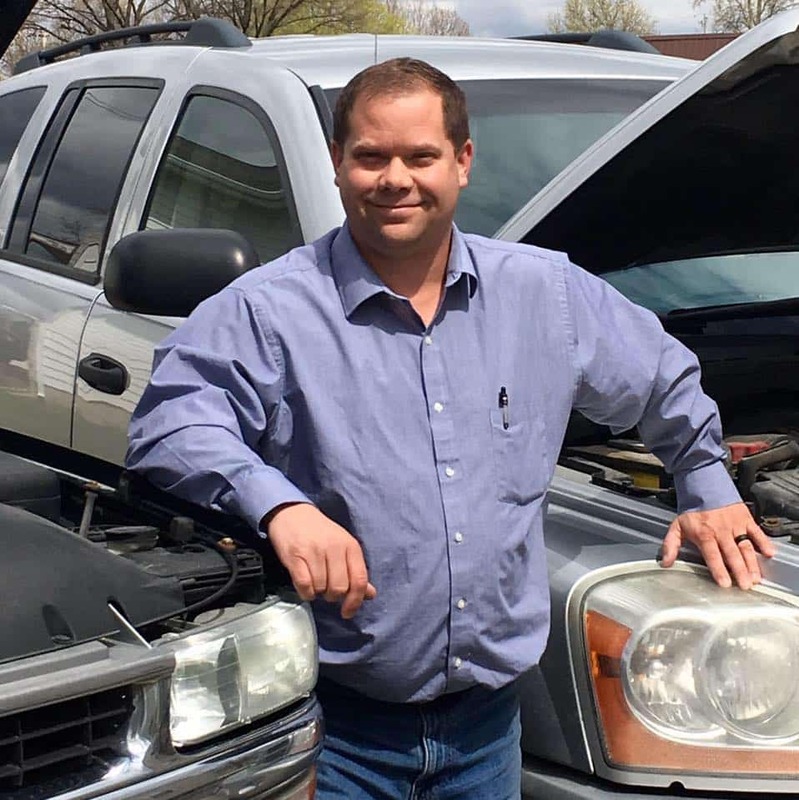 Having served in the U. S. Army and deploying 3 times in many different field conditions (Bosnia in '98, Kuwait in '01 and Iraq in '03), Steve knows how to quickly diagnose a vehicle, find out what is causing the issue and determine what needs to be performed and accurately report back in a clear and concise manner which is easy to understand. Steve has a deep passion for uncovering hidden issues, attention to detail and helping other people which is why he started this company in 2009. Steve enjoys spending his time with his wife, kids and dog at the race track, camping and hiking. Steven comes from very humble beginnings, raised by a determined single mother the best she could, a weekend warrior father who taught him as much as possible when he could and grandparents to help teach him life lessons and manners. Steven grew up the hard knocks way of life earning everything as he went and cherishing opportunities as they came to him. Today he is happily married with 5 children a service dog and living the life and dream he has always hoped for. To learn more about Steven's click the link above. If you would like more information about Steve or how he may be able to help you or a client, please feel free to email him anytime at "steve@testdrivetech.com". We provide mobile onsite 3rd party independent inspection services for used cars, classic cars, antique vehicles, exotic cars and luxury vehicles as well as campers, motorhomes, commercial vehicles and construction equipment. Our inspections are detailed, include 100-300 photos, HD video and full descriptive checklist inspections. We carry the most up date testing equipment to check on today's complex electronic vehicles. Our vehicle inspection reports are easy to understand, provide detailed information you need to make an informed purchase or financial decision. Each of our inspections come with photo documentation which provides you evidence of the vehicle's current condition. We utilize the latest techniques to uncover a vehicle's true condition such as borescoping, OBD II diagnostics and measuring tools. On top of our already extremely thorough inspection checklist, we are happy to add your custom checkpoints to our report so you know they were checked. We are happy to provide the following types of vehicle inspection & appraisal services to clients in Missouri & Illinois areas. Our St Louis truck appraisals are written using the USPAP standards and are accepted by insurance companies and financial institutions as well as state and federal court. We provide stated value appraisals, fair market value appraisals and used car appraisals in St Louis. We review and report on lemon law, misrepresentation and breach of warranty cases involving vehicles of all types as well as mechanical failure analysis. Steven has been called as an expert witness in over 100 cases in the last 9 years in Illinois, Missouri, Louisiana, New Jersey and Pennsylvania. Steven is also the inspector who warned about the tragic Ride the Ducks Accident a year before the sinking of Stretch Duck 7. Our inspection reports use the Hagerty Grading Scale for each system inspected on the vehicle so you can easily compare other vehicles you are considering and estimate a value for the vehicle we are inspecting for you. We understand that time is important when shopping for a vehicle. This is why we make every attempt to schedule your inspection for the following day and 90% of our inspection results are delivered to our clients email the same evening that the inspection was completed. You found us because you need eyes, ears and boots on the ground at the vehicle you are considering purchasing. We provide you the visual aids through high quality photos and HD video of the vehicle. We have no photo count limit so you will see everything we can see giving you the information needed to make an informed purchase decision. Because we are an independent Veteran owned and operated family business allows us to provide better customer service and communication with our clients. We understand you may want to talk with your inspection before, after and even during your inspection so we make that possible for you. We are always available by phone, email and even text messages where you can speak directly to Steven who will be doing your inspection for you. We know we have local and national competition in the industry and that is exactly why we strive every day to provide our customers with TOP NOTCH and QUALITY vehicle inspection services. The following chart shows information obtained from our competitors' websites on what their classic car inspections provide. IF YOU NEED MORE FROM TDT LET US KNOW. WE WILL PROVIDE IT. Looking for Your Inspection? Search by VIN Here!